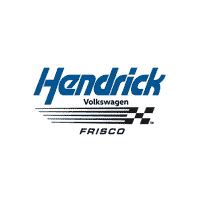 Welcome to Hendrick Volkswagen Frisco! We are proud to provide our customers in the North Dallas, Plano, Dallas-Fort Worth, and Lewisville areas with the new Volkswagen models. In addition to our new inventory, we also offer inventories of pre-owned and certified pre-owned vehicles. We would like to invite you to use our website to easily browse our inventory, schedule a service appointment or test drive, view finance options, and much more. Feel free to stop by our dealership in Frisco today. We look forward to meeting with you on your visit! Our inventory of new vehicles provides our Frisco and surrounding area customers with the new 2018 and 2019 Volkswagen models. These models include Atlas, Beetle, Jetta, Passat, Golf, Golf GTI and Tiguan. Whether you’re looking for a sporty coupe, sophisticated sedan, or spacious SUV, Hendrick Volkswagen Frisco is sure to have just what you need in a vehicle. If you’re looking for quality and reliability in a vehicle in the Frisco area, look no further. Our dealership offers inventories of both pre-owned and certified pre-owned vehicles. We take great pride in providing our customers with affordable vehicles in the Dallas-Fort Worth area. At Hendrick Volkswagen Frisco, we are dedicated to providing our customers with customer service that will exceed your expectations and provide an excellent car-buying experience. We fully understand how chaotic financing a new vehicle can be at times, so we provide our Volkswagen customers with finance experts who will do everything in their power to provide you with the best finance options in the area. Whether it be a new car loan, valuing a trade, or leasing, our experts are ready to assist you today! We understand that your vehicle is one of your greatest investments and we’d like to keep it that way. From regularly scheduled appointments to major repairs, our dealership provides award-winning service daily. Our highly trained and certified technicians are able to perform general auto repair, preventative car maintenance, oil replacement, and much more. On your visit enjoy our customer amenities including complimentary WiFi, refreshments, service loaner vehicles, and our complimentary shuttle service to area attractions and local businesses. We invite you to use our convenient online scheduling tool to schedule your next service! If you find yourself with any questions, feel free to contact our dealership. Stop by and visit to see why we’re considered the #1 Volkswagen Dealer in the DFW area*! We look forward to serving our Frisco customers as well as customers in the surrounding communities of North Dallas, Plano, Dallas-Fort Worth, and Lewisville. Stop by and visit us today! We are conveniently located at 5010 State Highway 121, Frisco, TX 75034. *According to Volkswagen Of America National Sales Rankings as of February 1, 2018.